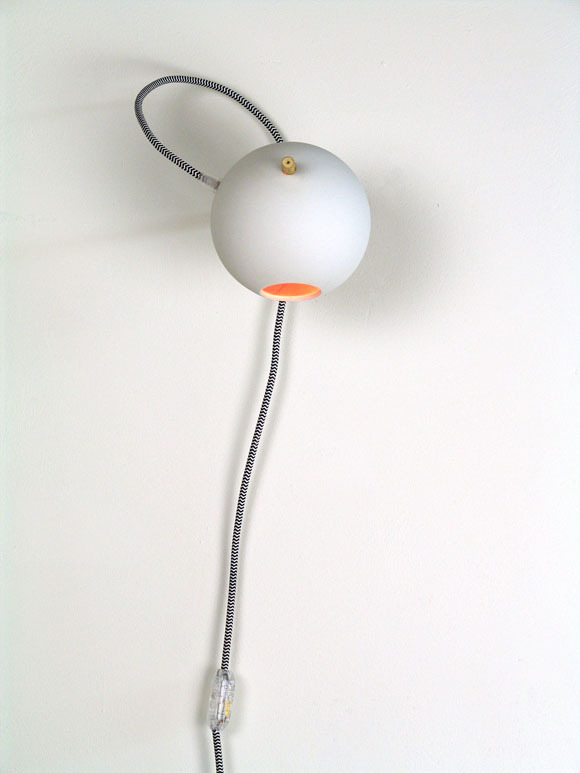 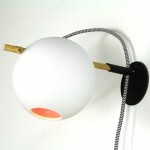 Attractive wall light that reminds you of bygone times and improves the atmosphere in your home. 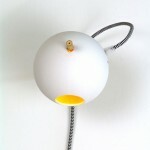 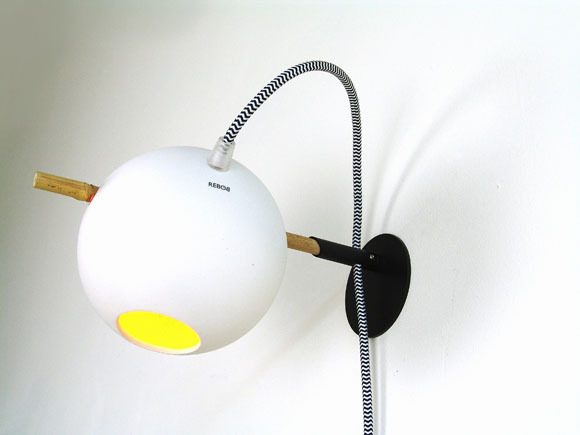 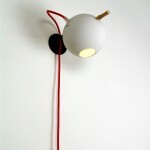 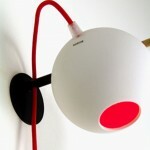 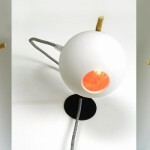 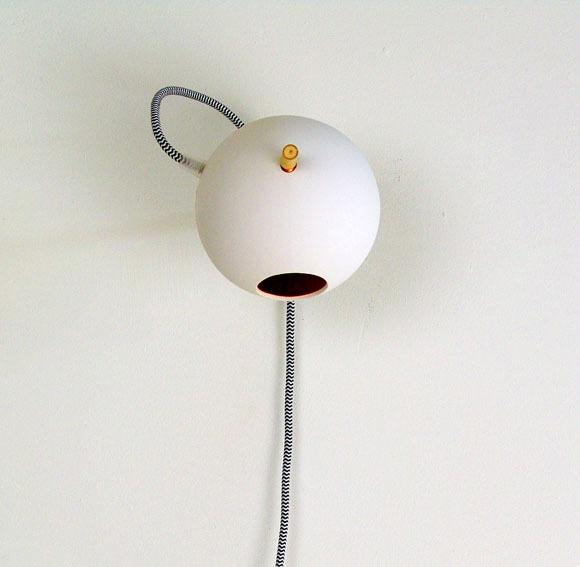 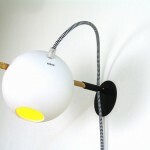 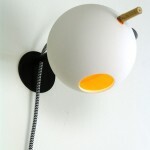 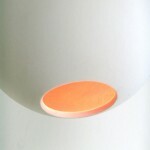 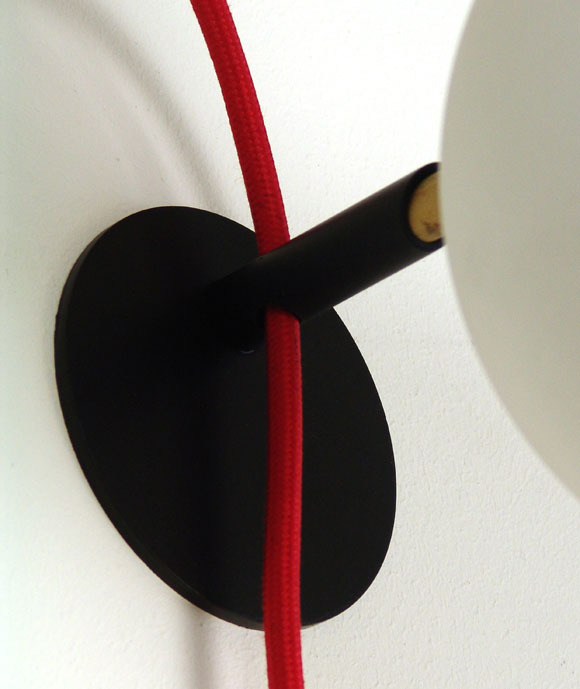 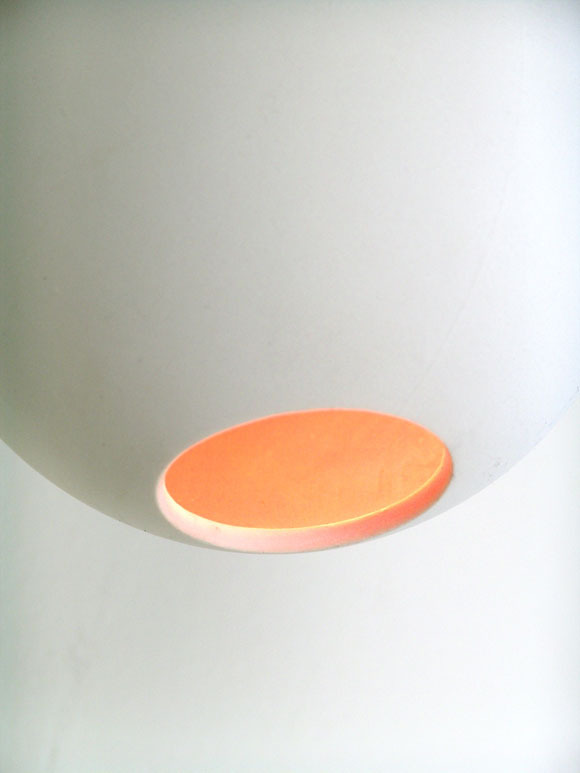 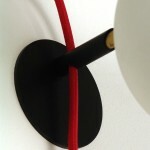 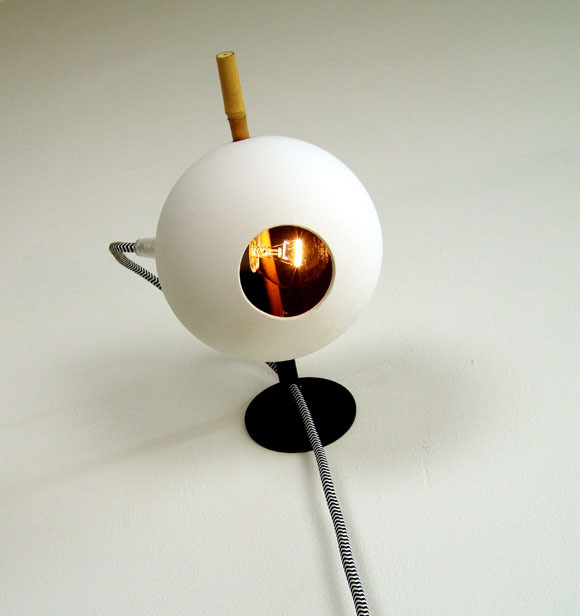 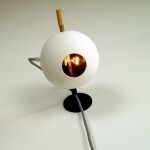 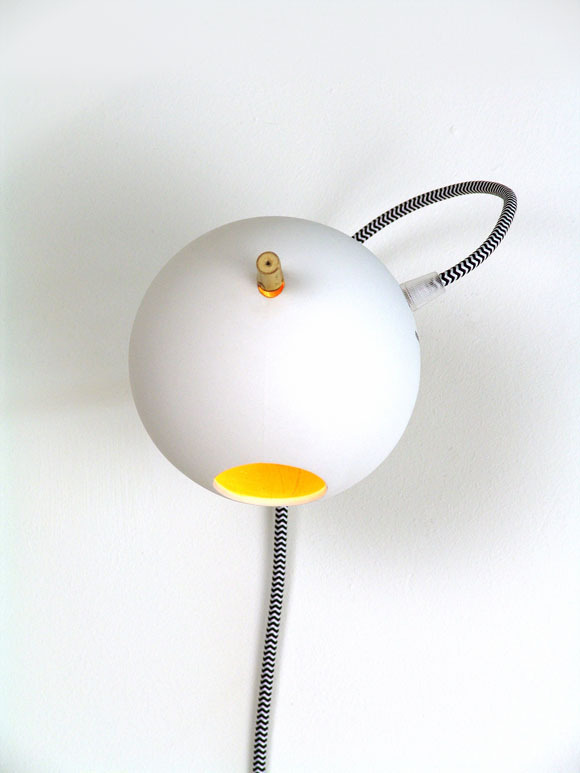 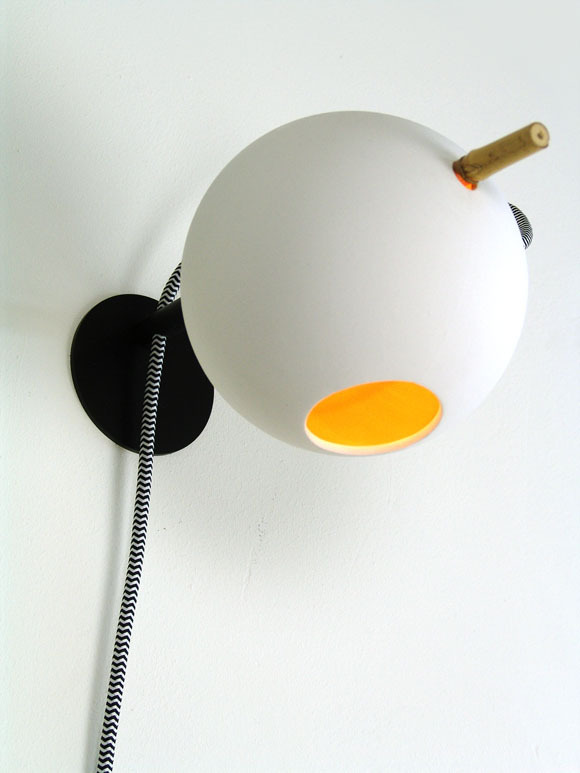 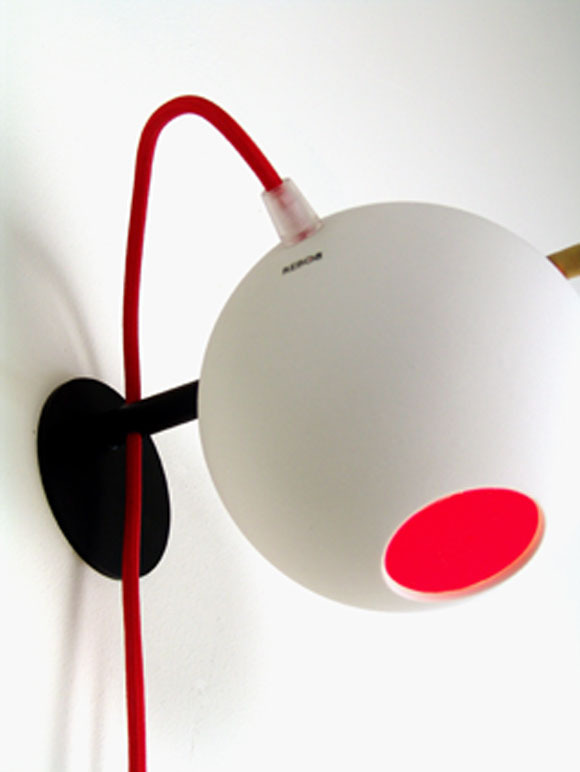 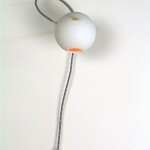 Be surprised by the effect when you switch on the light caused by the color inside the porcelain ball. 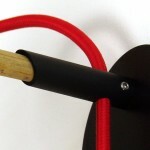 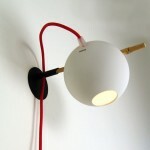 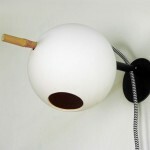 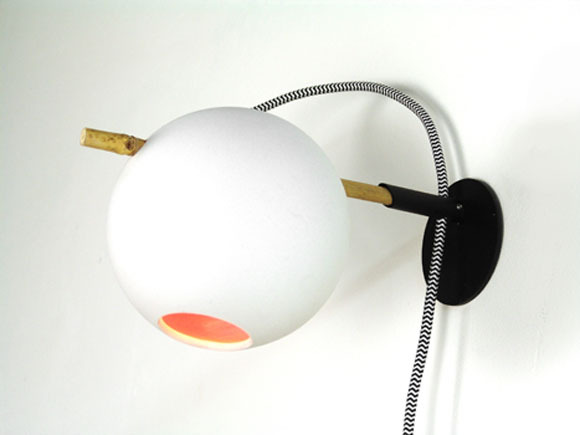 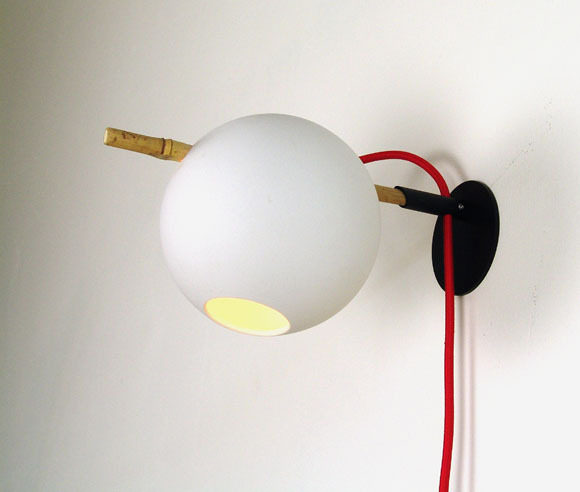 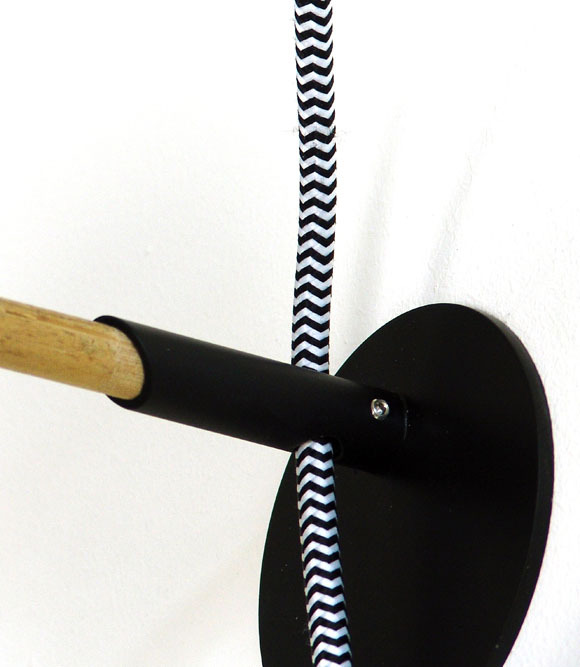 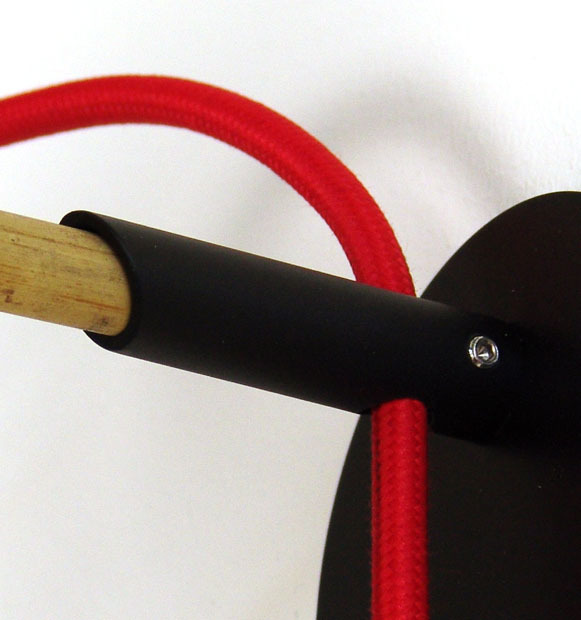 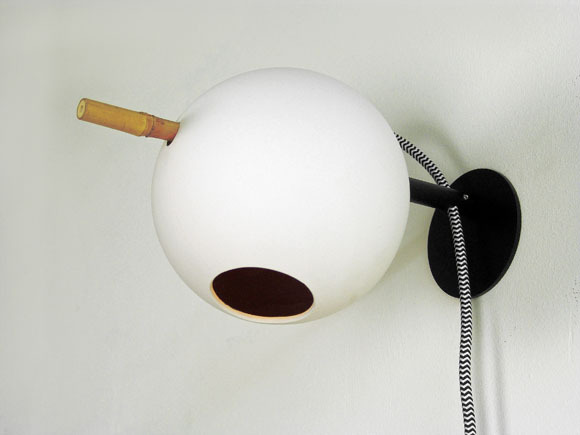 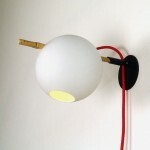 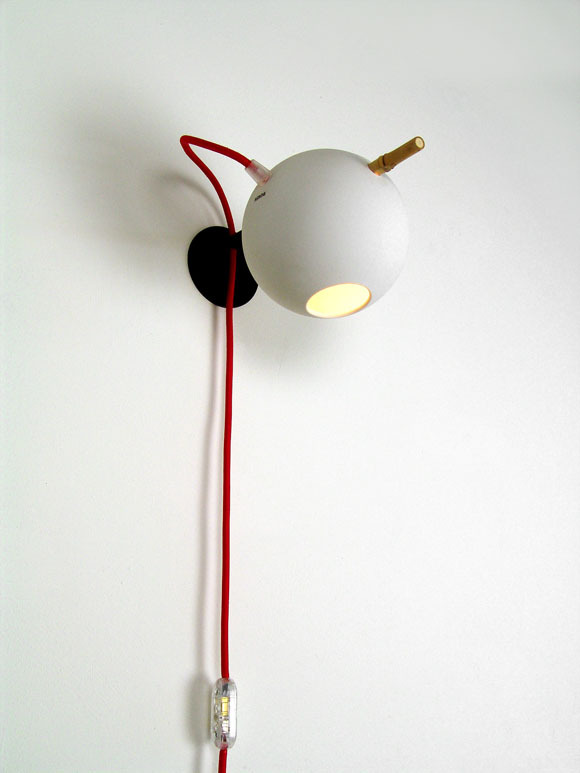 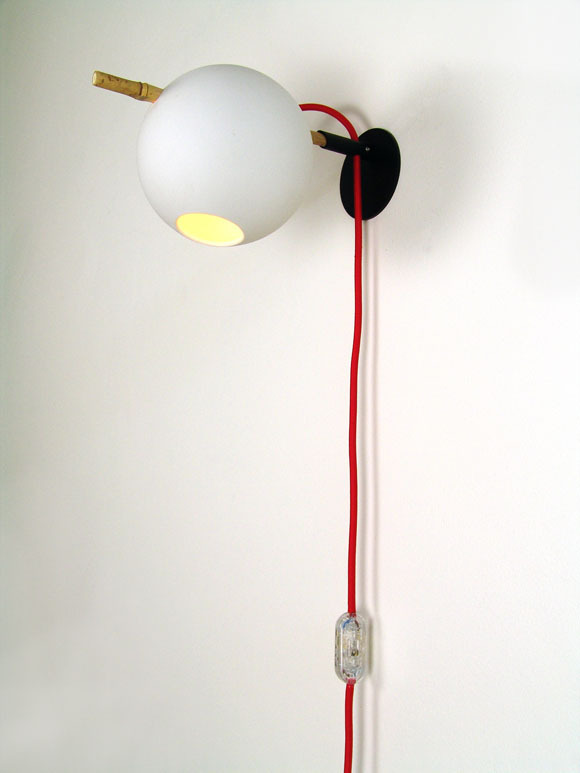 Bamboo wall light is available in white, black, red, ocre and pink. 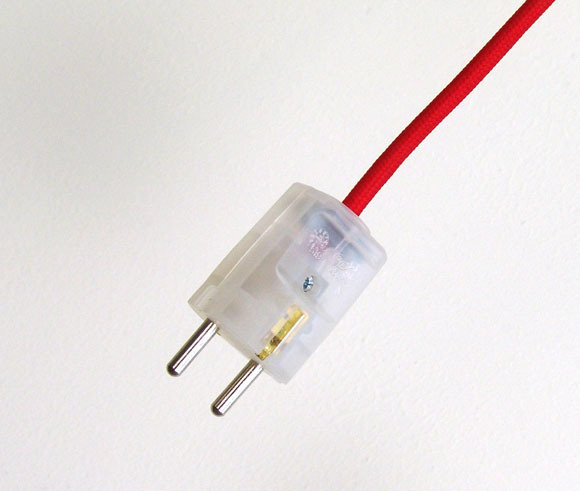 You can choose a red or a zebra powercord. 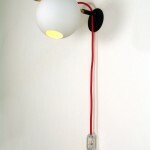 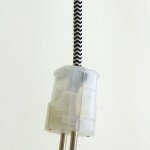 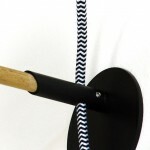 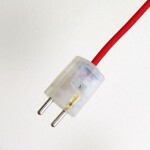 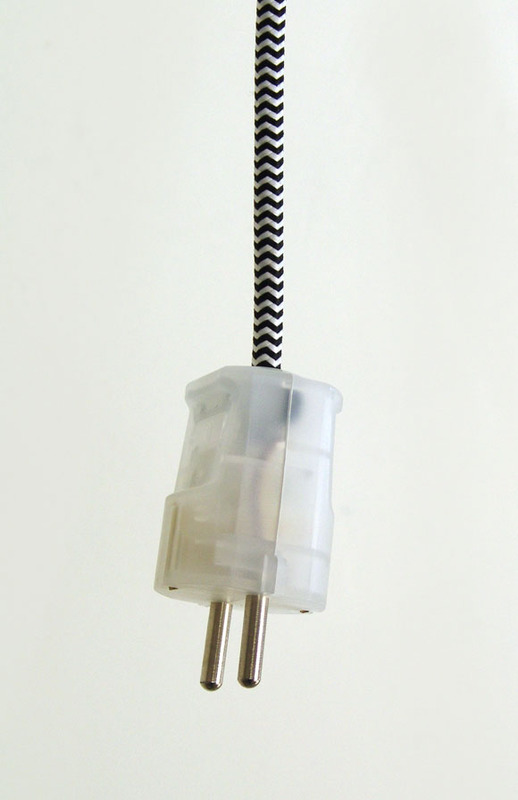 Power cord: red or zebra 2,5 m.
Iron socket: diam. 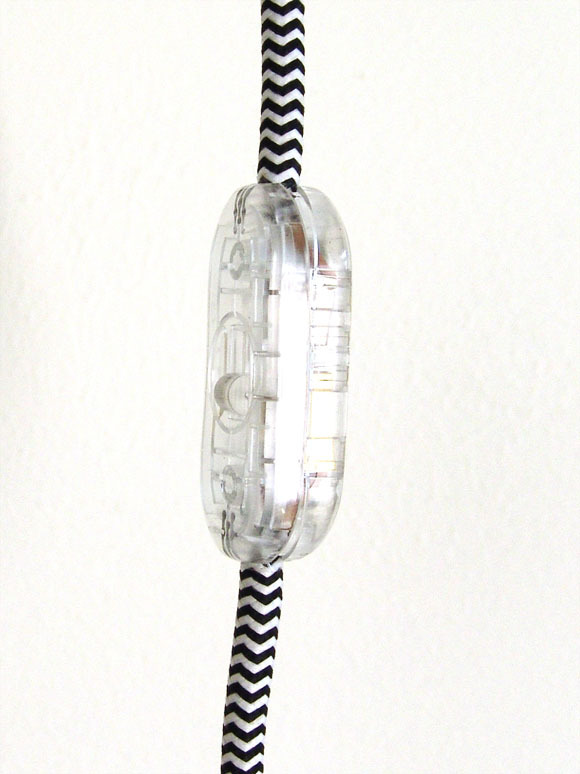 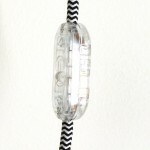 8 cm.